WOTR developed a tool called Community Driven Vulnerability Evaluation-Programme Designer (CoDriVE-PD) that clearly identifies the need to factor in an evaluation of all such key vulnerabilities at an early stage in the project design and subsequently integrate these variables within the project framework, so as to minimize adverse impacts and thus, have better control of the project and the achievement of desired outcomes. Field musings on the rise of farm ponds and its impact on the common pool groundwater resource. Farm ponds are being set up to provide protective irrigation so as to secure a second crop and provide water during lean summer months. 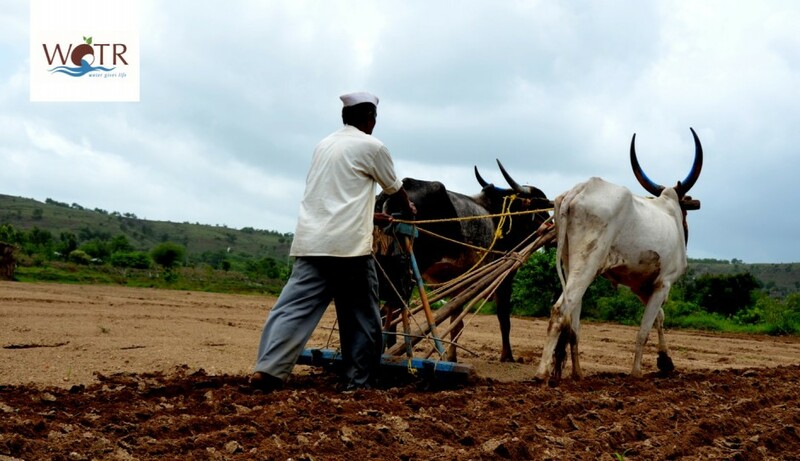 In Maharashtra, the government has announced schemes to drought proof their land and encourage farmers to construct farm ponds. But is the rise of these structures in the semi-arid regions of Maharashtra creating inequity in the share of groundwater among farm groups? The following blog post , written by our researcher for the Adaptation in Scale in Semi Arid Regions (ASSAR) blog highlights the urgent need to rethink on the collective use of the invisible common pool resource for preventing drought in the long run. On 22nd March, on the occasion of World Water Day, National Bank for Agriculture and Rural Development. (NABARD) in collaboration with Centre for Environment Education (CEE) and other local organisations launched Jalme Jeevanam (Water is Life) campaign in around 1,00,000 villages across 200 districts to create awareness about conservation and preservation of water resources.